In the world of tomorrow, your daily commute will be conducted entirely by robots. So says Volvo, who is developing the 'no death' car, an auto-mobile impossible to crash and so safe the company has gone so far to say 'nobody will be killed or injured in a new Volvo by 2020.' Bold claims indeed. That's because Volvo, like countless other car manufacturers developing the next-generation in car safety technology, is planning to introduce in the very near future a series of safety measures that will make it impossible to cause a crash while behind the wheel – the car will actively refuse to hit other objects, like a petulant child on wheels. 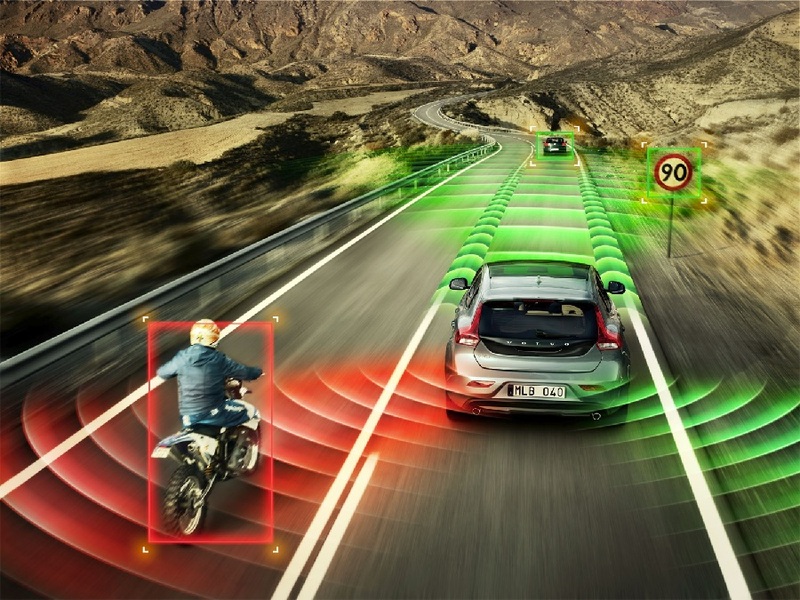 With everything from 'adaptive cruise control', 'speed limit sign recognition' and 'pedestrian detection' accounted for (as well as much more, it has to be said), Volvo is hoping to roll out such features by as early as 2014, with the whole package expected by 2020. One of the most unique but no less fascinating ideas coming from Volvo itself is the 'road train', a proposal that might one day allow cars automatically form multi-vehicle 'convoys' of up to six vehicles, with the car in front setting speed and direction of every other car in the convoy. The 'train' analogy is apt, allowing each driver to be at the center of one self-contained 'carriage' of the convoy – at least, that's the idea. The robo-car race is an interesting one. Having been well under-way between some of the leading car makers and tech companies of this world (from Volvo, Ford to, yes, Google) for some time, much of the technology needed is already in place, with one of the major barriers to a future of self-driving cars being people's acceptance of them. Techno-anxiety is nothing new, of course, and amendments to International traffic laws are already being made to pave the way to the future where cars may well be driver-less and, dare we say it, car insurance is a thing of the past. Where crashes on the road causes thousands of deaths daily, Volvo's intention to put driver-less, 'no death' cars on the road before anyone else is one not only driven by the desire to be ahead of the curve, but one with purpose and responsibility. We may be no closer to flying cars, but bring on 2020.